As a sophomore, Amy Katz ’18 wanted to learn more about nonprofits that work in Lewiston-Auburn. So she joined a Bates committee that disburses grants from a fund named for a couple beloved by college and community: the James W. Carignan ’61 and Sally Larson Carignan ’62 Fund for Community Programs. 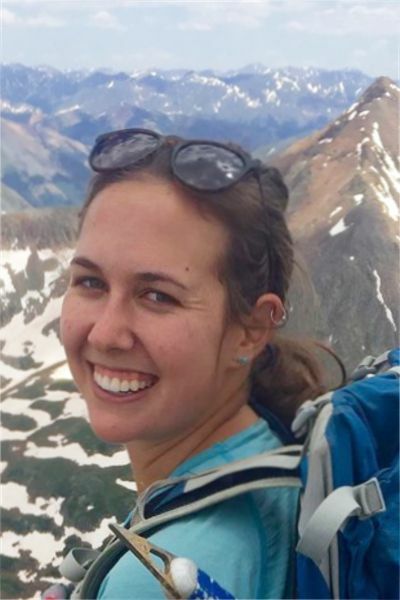 A member of the committee that awards Carignan Fund grants, Amy Katz ’18 is shown hiking in her native Colorado. Administered by the college’s Harward Center for Community Partnerships, the Carignan Fund honors a couple known for their dedication to community involvement. 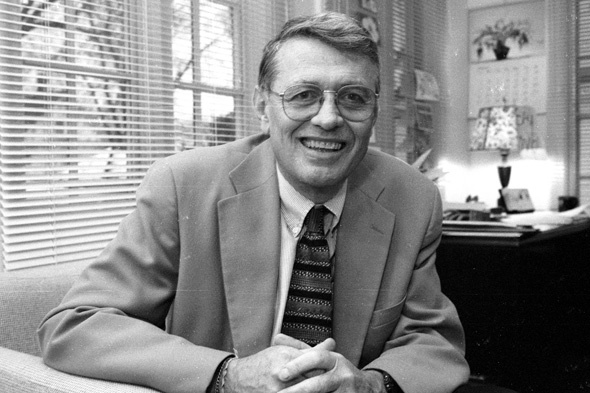 Jim Carignan, who died in 2011, was an educator, innovator, civic leader and longtime dean of the college. Now of Brunswick, Sally is a former teacher at the Lewiston Adult Learning Center and remains an active advocate for affordable housing. Lewiston Housing Authority: $490 for books and calculators for an after-school homework-help program at the Hillview housing complex. Trinity Jubilee Center: $538 to support the Free Clinic at this community resource center. United Youth Empowerment Services: $791 for the purchase of video editing software. The organization will use the software to make videos of refugees in the community that they can send to friends and family back home. Big Brothers Big Sisters of Mid-Maine: $1,000 for supplies to support an expansion of programming in Androscoggin County. The Center for Wisdom’s Women: $1,968 for supplies for the center’s Urban Garden Project. A resource for the support and empowerment of women, the center is developing a line of herbal products that will provide job training and some income for women in the community. Montello Elementary School: $2,000 for supplies and equipment for an after-school program — specifically, athletic equipment and materials to establish a theater club, including stage lighting. 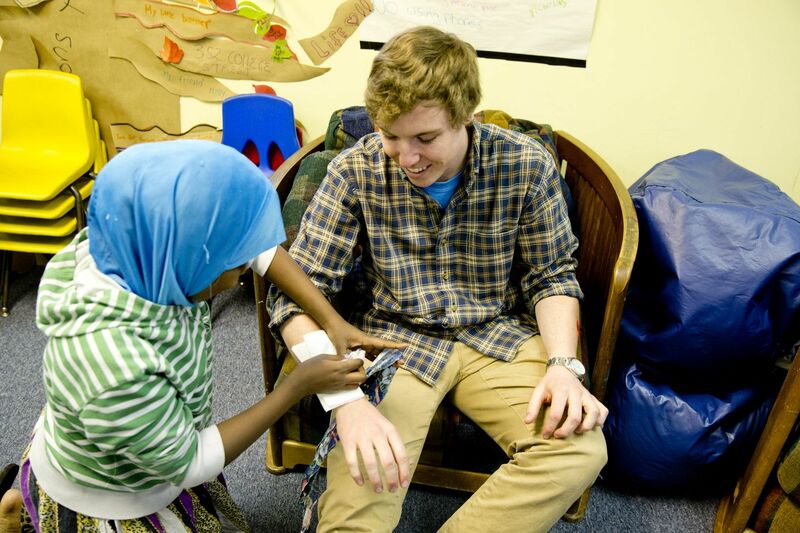 Somali Bantu Community: $2,000 to support the Kasheekee Project, an after-school program in which at-risk Bantu youth will be mentored and tutored in the creation of personal narratives about their time in refugee camps in Kenya. Established in 2006, the Carignan Fund supports projects that strengthen the bonds between the college and its partners in the larger community, says Peggy Rotundo, fund administrator and the Harward Center’s director of policy and strategic initiatives. “Jim Carignan would have been thrilled, and Sally is thrilled, to see these organizations receive this funding, because a little bit of money goes a long way for these organizations, and makes these projects possible,” Rotundo says. The five students on the Carignan committee aren’t thrown into the process unprepared. Last fall, when they began the selection process for the 2017 grants, they were briefed on the nonprofit world, fundraising, and grant evaluation by Erin Guay, executive director of the organization Healthy Androscoggin. The students’ role in selection is a win-win, Katz adds. As noted, the students gain insight into how grantmakers weigh grant applications — insight that’s useful for people whose academic, and perhaps professional, careers may depend on their skill at asking for money. “We get to learn what goes into a good grant,” she says. But the committee students, who are all involved in the community as volunteers or through community-engaged research, also have a front-line perspective that established grantmakers might not have. Between 2006 and 2016, 51 Carignan Fund grants totaling approximately $85,000 have been awarded. Grant recipients have ranged from Safe Voices, which received funding for the development of employer toolkits on domestic violence; to the Franco Center for a French film series that Bates faculty and students facilitated in French; to the Androscoggin Land Trust to develop a smartphone app that Bates students beta-tested, Rotundo says. In addition to his role at Bates, James Carignan chaired the Maine Board of Education, served on the Lewiston City Council, and contributed service to more than 25 other local and state boards. He helped establish the Harward Center and served as its first director. “Jim and Sally were both dedicated to the Lewiston community,” Rotundo says. “Jim was always very interested in improving relationships between the community and the college, and improving people’s lives.